easyJet is well on its way to meeting its target of 20 per cent of new cadet pilot entrants to be women by 2020. The low-cost airline has achieved a new high of 15 per cent female new entrants over the past financial year. easyJet has reached the milestone with impressive speed. The Amy Johnson initiative to encourage women to become pilots started in October 2015 when just 6 per cent of new pilots were female. 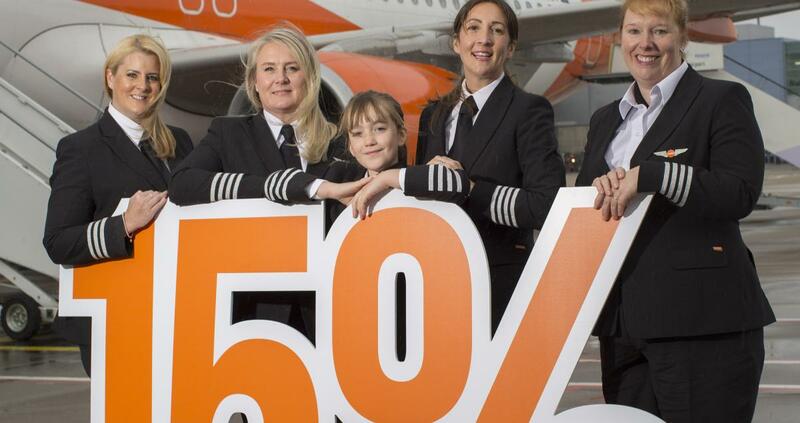 Johan Lundgren, easyJet CEO, said, “It’s hugely encouraging to now see that of the new entrant pilots we have attracted over the past year that 15% are now female and that the ambitious goal of 20% is in our sights and we don’t plan to stop there! “We continue to work hard to encourage more women to join this hugely rewarding profession and from a starting point of 6% in 2015 to 15% this year is a real achievement. “As well as encouraging applications from women now, we also recognise we need to start young so that we can be simultaneously changing perceptions of the career and so improving the gender balance of the profession for years to come. Earlier this year Captain David Morgan, Director of Flight Operations at easyJet, was named as an ‘Agent of Change’ by Management Today and the Women’s Business Council for leading real transformation at easyJet and in the aviation industry through easyJet’s Amy Johnson Flying Initiative. In FY19 (Financial Year 2019) easyJet will recruit 460 new pilots as its European network continues to grow. Opportunities range from cadet pilots starting their career to experienced co-pilots and captains from other airlines and the military. The Generation easyJet Pilot Training Programme is now open here.